I did ask him to sign this sketchnote, though. 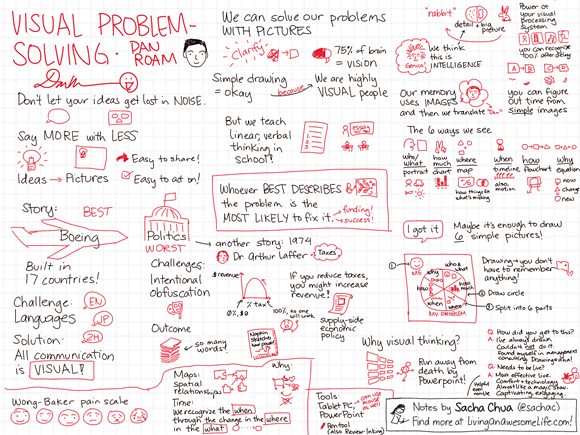 Check out my other sketchnotes for one-page summaries of business and technology talks. Look at Rotman’s upcoming events calendar for other cool speakers! Whoever best describes the problem is the most likely to fix it. 1974 Dr. Arthur Laffer – taxes; If you reduce taxes, you might increase revenue. Napkin sketch. We can solve our problems with pictures. Simple drawing is okay. 75% of brain = vision. We are highly visual people. But we teach linear, verbal thinking in school! Drawing – you don’t have to remember anything! 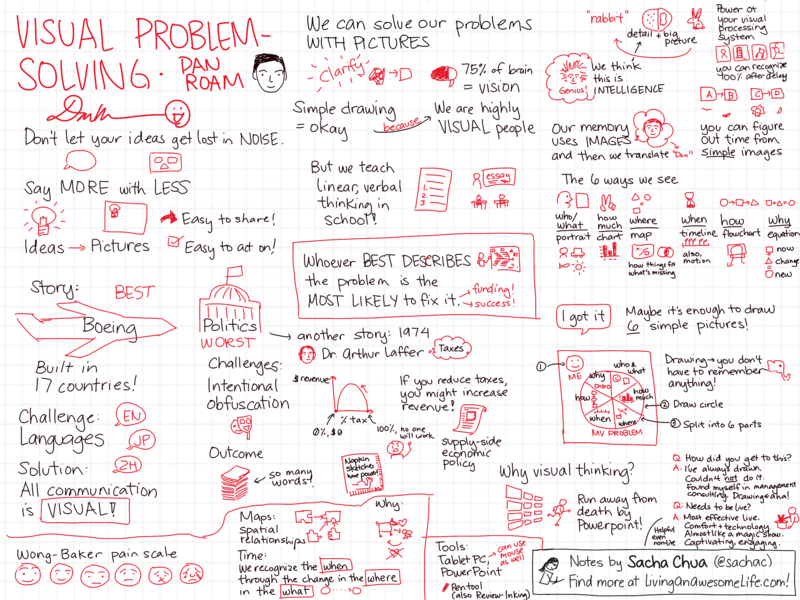 Why visual thinking? Run away from death by Powerpoint. Wong-Baker pain scale; maps: spatial relationships; time: we recognize the when through the change in the where in the what.